Wanda Waunitta Myers, daughter of Howard Myers and Helen Schnadinger, was born Jan. 6, 1934 in Newport, Vermillion Co., Indiana and died Aug. 3, 1997 in Houston, Harris Co., Texas. She married 1) Dale Harding Beach Aug. 11, 1945 in Taylor Co., Iowa and 2) Brainard Lee Stallings Sept. 3, 1963 in Nodaway Co., Missouri. 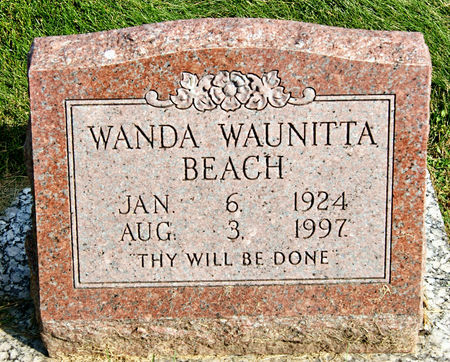 Searching for WANDA WAUNITTA MYERS BEACH in Taylor County Iowa?